Are you curious as to which products get the most searches on Amazon? Today is your lucky day. Top100 Amazon searches (US)—a list of the most popular Amazon searches in the US as of February 2019. Top100 Amazon searches (Worldwide)—the same data but with searches from outside of the United States too (and with global search volumes). In other words, Keywords Explorer is now a fully‐fledged Amazon keyword research tool. We also added data for Bing, YouTube, Baidu, and many other search engines. Here are the top searches on Google, Bing, and YouTube—in case you missed them. Right away, you can see that searches for gadgets dominate this list—laptops, bluetooth speakers, smartwatches, SSDs, gaming controllers and so on. So much so, that 53/100 of our top searches (almost ⅔) are for gadgets. That’s excluding searches for iPhone accessories too, of which there are many. What’s the most popular iPhone accessory? Cases. Speaking of iPhone accessories, there are 782,000 monthly searches for “Bluetooth headphones,” which makes it the 8th most popular product search on our list. That’s no doubt down to Apple (and other phone manufacturers) removing headphone jacks in recent years. There are a further 544,000 searches for “wireless headphones” and 337,000 for “Bluetooth earbuds.”. Amazon also appears to be a popular place to purchase games consoles and games. The Nintendo Switch tops the list with 2.16M monthly searches, followed by the PS4 with 865,000, then the Xbox One with 474,000, and finally the Snes Classic (ooh, retro!) with 295,000. Gaming mice and chairs are popular too with almost 776,000 combined monthly searches. But what else is popular on Amazon besides gadgets and games? The Kindle isn’t the only one of Amazon’s branded devices that’s popular either—their Fire Stick and Echo products get millions of combined monthly searches. Oh, and one non‐physical product made it to the list too: “prime video” (455,000 monthly searches). Is Amazon catching up with Netflix? Maybe. Either way, one thing is for sure: Amazon is genuinely an everything store. It’s no longer just about books. Now let’s see the most popular Amazon searches in the US compare to the rest of the World. It looks like the Nintendo Switch is just as popular elsewhere as in the United States. Furthermore, “switch” is at #8 with 1.54M monthly searches. So yeah, I think it’s fair to say that people are lovin’ the Switch! Same goes for iPhone’s. They’re even more popular Worldwide than in the US. Interestingly, while there are hundreds of thousands of searches for older models like the iPhone SE around the world, we only see searches for newer models on the top 100 US searches. There are also millions of searches for other non‐Apple smartphones on this list whereas there were no such searches on the US list. For example, although “toilet paper” does still make it into the top 100 Worldwide searches (#66), you’ll notice that the search volume is 611,000. That’s only 43,000 higher than the US‐only volume, meaning that 92.96% of searches for “toilet paper” come from the US. Perhaps Amazon hasn’t yet made the push into this market outside the US? 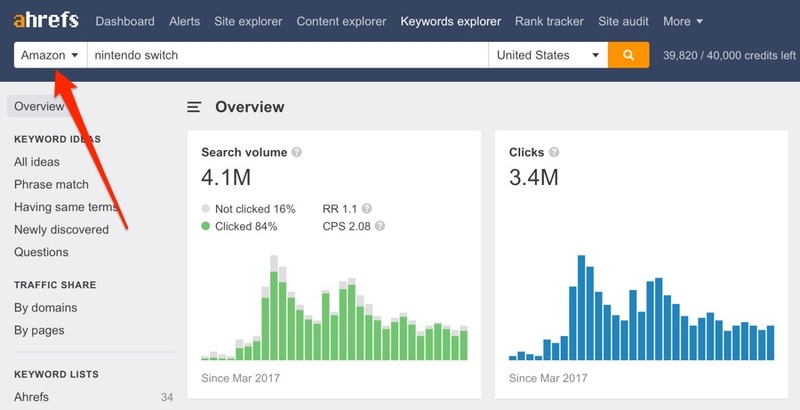 See more Amazon search data in the new Keywords Explorer! Do you want to know the number of searches for a specific query on Amazon? Go to Ahrefs Keywords Explorer, enter a query and select Amazon as your search engine. 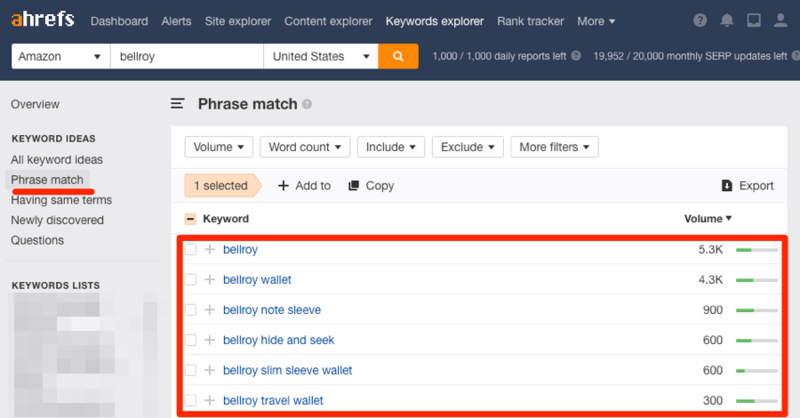 Let’s see how many people search for “bellroy” each month in the US. 5.3K searches. That’s a lot of people with great taste in wallets! It also looks like Bellroy is popular in Japan, Germany, the UK, Canada, and the Philippines. Using one of the reports on the left‐hand menu, it’s possible to dig deeper and see the other queries people are making on Amazon in relation to this topic. Looks like a lot of people want to buy the note sleeve! 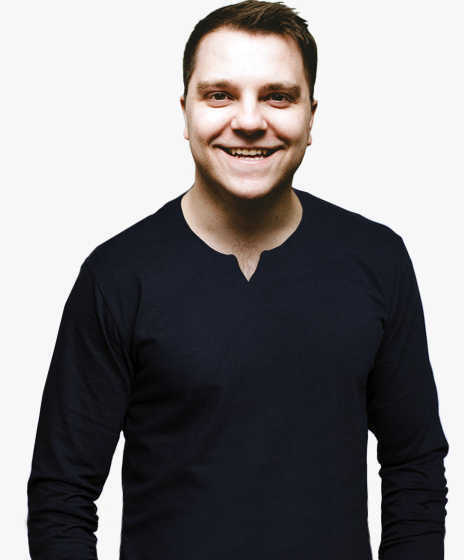 Fancy learning more about the searches people are making on Amazon?